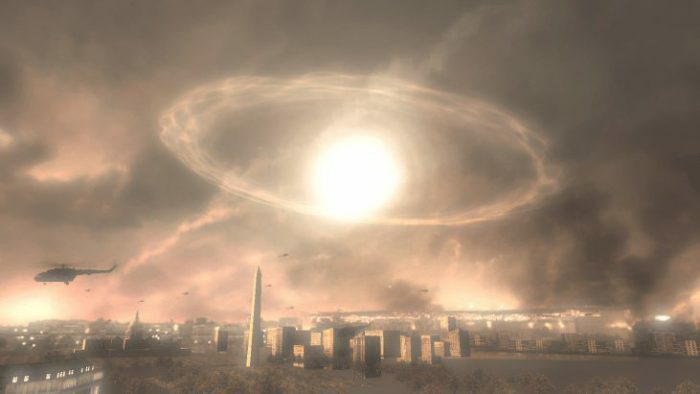 “Foreign adversaries may aptly consider nuclear EMP attack a weapon that can gravely damage the U.S. by striking at its technological Achilles Heel, without having to confront the U.S. military,” reads the report, which notes how foreign actors could use EMP attacks virtually anywhere in the world. 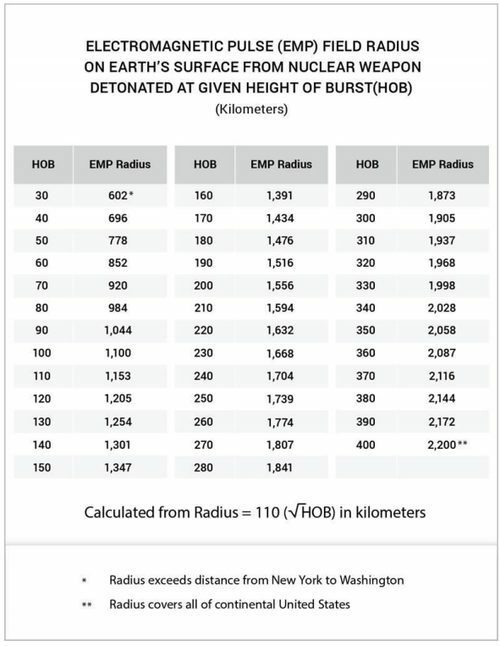 Nuclear-electronic warfare is also known as “Blackout War” according to the Washington Free Beacon. 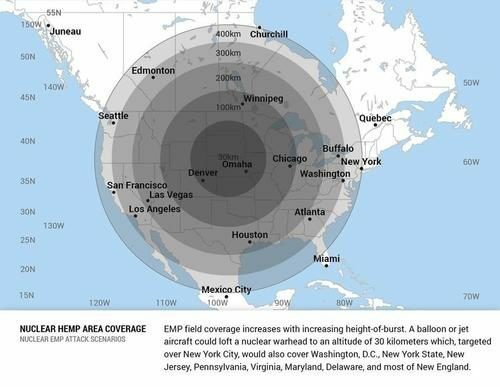 EMP attacks will be carried out at such high altitudes they will produce no blast or other immediate effects harmful to humans. Instead, three types of EMP waves in seconds damage electronics and the strikes are regarded by adversaries as not an act of nuclear war. 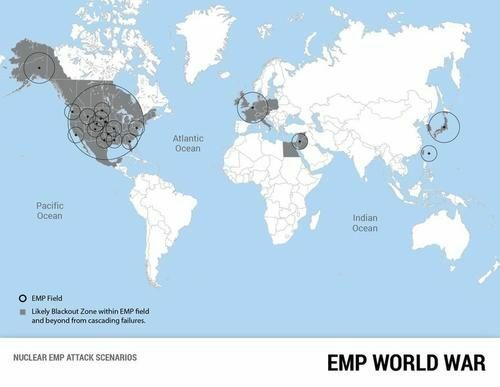 “Potential adversaries understand that millions could die from the long-term collateral effects of EMP and cyber-attacks that cause protracted black-out of national electric grids and other life-sustaining critical infrastructures,” the report said.